Thanks so much for hopping along! Next up is THE BIRTHDAY GIRL!!! Very cute. Happy birthday Ann. Your card is cute and sweet!! Wishing Ann a very happy birthday!! Such a great card - Ann will love it. Love that cupcake and that sentiment!! Love the buttons and beads on this. Cute way to add a little extra. This is so sweet! 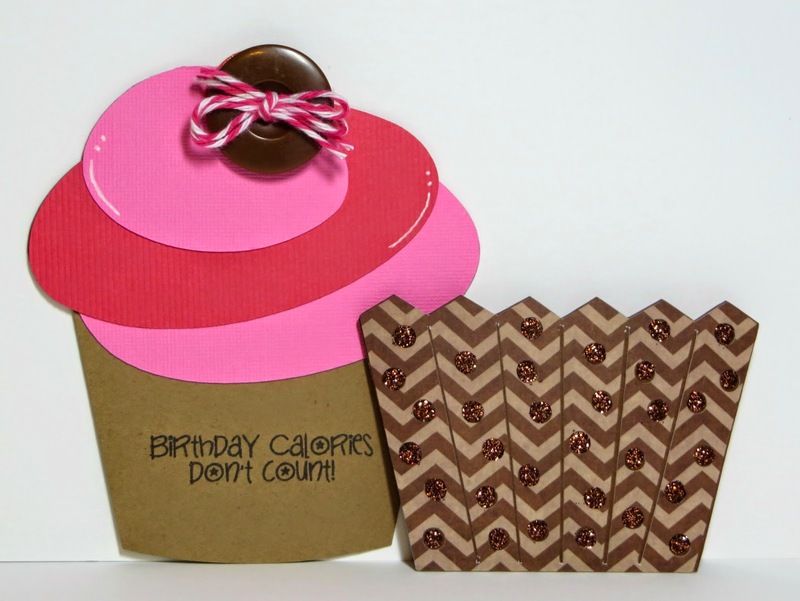 Love the chevron paper on the wrapper and button on the top! Super cute! Awesome! Love he cupcake card! Very nice! Good enough to eat! Very yummy adorable. Love the button with twine on top. such a cute cupcake! and i love that sentiment! thanks for sharing! How cute! What a great way to end the DT celebration birthday for Ann. She is just going to love all her goodies. Happy birthday Ann! Such cute projects! Happy Birthday Ann! Your cupcake looks good enough to eat! Happy birthday to Ann! Yummy card!! Happy Birthday to Ann! Love Ann's cupcake files and this one is adorable! How did you know I loved cupcakes? ha ha.. this is totally ADORABLE.. love the color combo....but only wished BDAY calories REALLY didnt count!! ha ha... Im so thankful for all of you girls..and thanks soooo much for putting this together.. totally amazed! You are a sweetie!! thank you!! very cute idea! love it. This is wonderful but now I must have a cupcake cuz it made me hungry! Happy happy joy joy Ann! Love the cupcake card! Happy Birthday Ann! Lovely card for her! And a big Happy Birthday to Ann! That's way cool to create something for Ann for all she does! Blowing out another candle should mean that you have lived another year with joy and you have made this world a better place. Make every day of your life and every candle count. Have a delightful birthday Ann! You are so sweet!! She will love it! Love the little glitter touch. Love those slide out cards. Great job! I love cupcakes. This is so creative. Super sweet cupcake! Great job! Love the 2 part card. Great job. Awesome slider card ~ great job!! Very cute! Love the slider effect! Happy Birthday Ann and thanks for all that you do for us. What a super cute card!! I love it. Happy birthday Ann. Very cute card. Love it! Perfect ending for a birthday celebration ..... an awesome cupcake!! Inspiration to make a card like this. Super cute. Love it!!! Happy Birthday Ann!!! adorable card. love the button on it! I love this! What a sweet card for a sweet lady! PERFECT!!! What a great slider card! Love the jewels too! Nice job! So cute!! Happy Birthday Ann! I seriously want cupcakes now!! LOL! TFS your super cute card! so super cute !!! love the brown glitter dots ! Thanks for creating. Love it. too cute! 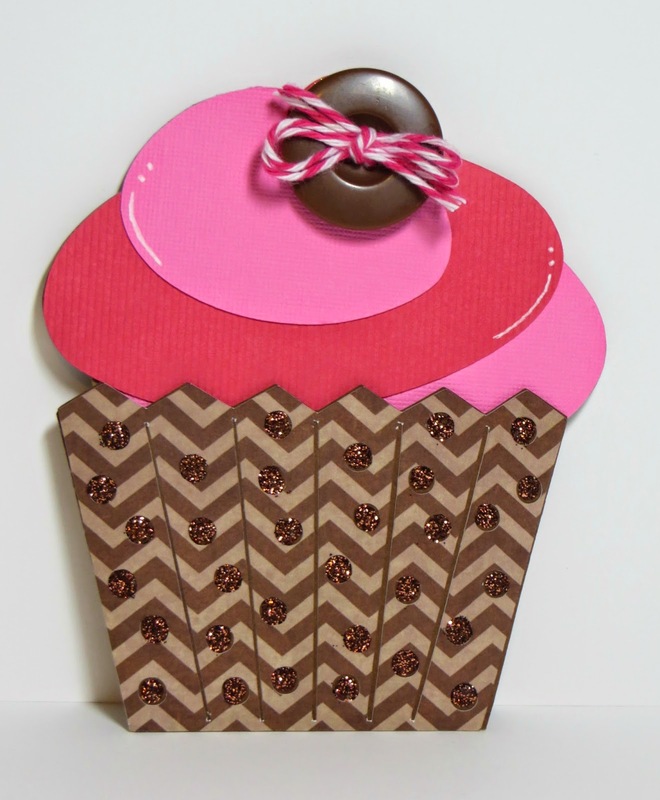 Love the texture on the cupcake wrapper! That looks deeeeeelicious!! Great job, and Happy Bday Ann! So cute. Love the bling. Love it. Thanks so much ! love the cupcake card !!!!! Cute! I like the button. Happy Birthday Ann! So fun..love it! Happy Birthday ANN!